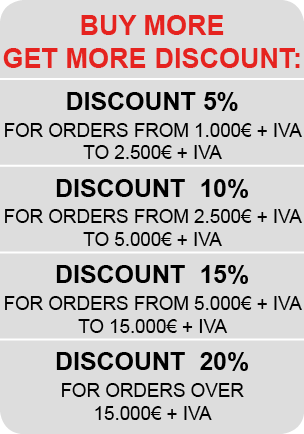 Direct online sales of workbenches and desks from offina in various types. The workbenches are made of metal, galvanized or painted and top in scratch-resistant wood. I for workbenches and workshop are used in many areas of work and products are entirely designed and made in Italy. The benches can be fitted in various ways by inserting the wheels, the lower floors to floors, drawers. There are different sizes of workbenches in order to meet the different working requirements. Work benches made of galvanized sheet steel and wood, the backbone of the workbenches is made of tubular galvanized metallic gray, the upper floor is made of scratch-resistant wood with external fold to all four sides of black rubber. 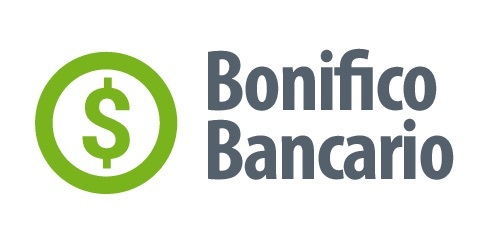 The lavorovengono benches provided in monoblock or in kit form and allow you to take advantage of work of any kind. It is solid and resistant and durable workbenches in time. And 'possible to purchase various accessories to be applied to the structure of the type drawers benches, the wheels, the lower floors. Benches for business or workshop made of painted sheet steel in gray and top in wood shiny and scratch resistant MDF. The corners of the upper floor of the workbench are rounded to a safety issue. The metal structure of the workbench is all fully interlocking. 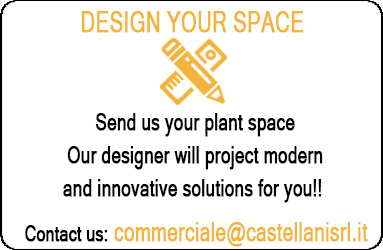 The lower floor of the bench is made by using the metal shelving plans that are positioned in the appropriate spaces so as to strengthen the bench structure and to create a appogglo plan that turns out to be very convenient for the normal working operations. Benches offcina and completely painted metal work with the possibility of having the upper floor in beech. 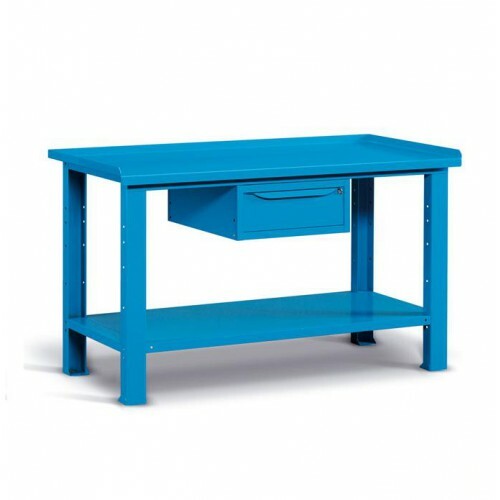 These workbenches are sold only in monoblock and generally are painted blue or gray color. There are different sizes and different types of desk, as these also work benches can be fitted as desired with drawers, wheels, choice of plan, type of structure. It is mainly used for counters of mechanical workshop activities. 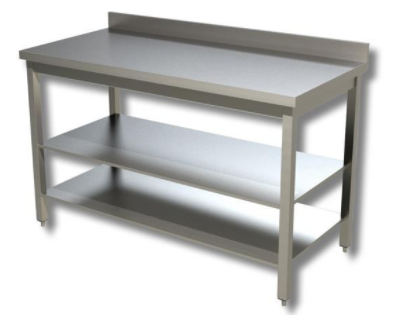 Stainless steel tables according to HACCP, resistant to rust and acids. 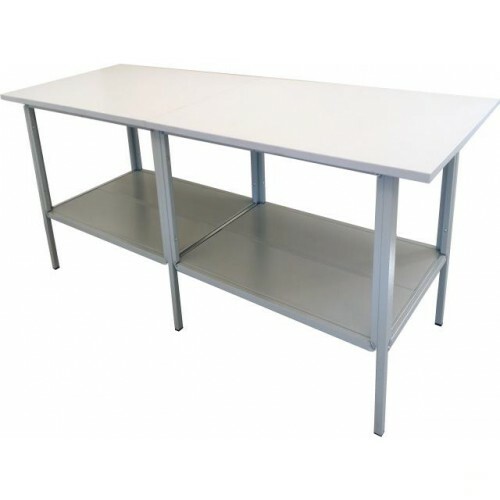 These stainless steel tables or workbenches are suitable for the food industry, they are generally used in restaurant kitchens, pastry shops and in all places where fresh food is needed. 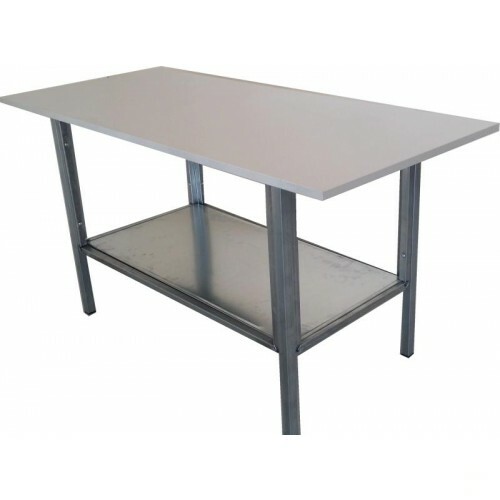 Stainless steel tables are made and produced with AISI 404 stainless steel; These products are available in various sizes, in various shapes and with various accessories. Stainless steel tables are monoblocks with the fully welded structure and are made up of one or more top or bottom work tops. Stainless steel tables are placed on fixed legs to facilitate work in the kitchen.